National officials working in international bureaucracies regularly invoke the fear that member-states strategically use such officials for influencing decision-making to their advantage. Using ones national officials as ‘Trojan horses’ naturally implies a lack of autonomy of such officials working in international organizations, which critically threatens the independence of the organization as such. 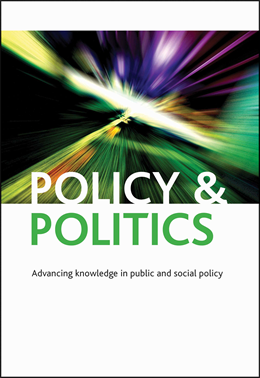 While national officials’ potential lack of autonomy has been extensively discussed in both academic and public circles, the underlying mechanisms are less well understood. Our analysis takes one step in this direction. organisation is the so-called ‘revolving door’ phenomenon. National officials in international bureaucracies generally intend to return to their home institution after their contract expires. This, so the argument goes, naturally induces a strong incentive to not fully discard the expectations and aspirations of the home institution, since this might have important career consequences upon return. Clearly, however, the implications of this revolving door mechanism might not be equal for all national public officials in international organisations, and can be expected to depend on i) the relations between national civil servants and their home and host institutions, as well as ii) the organizational (dis)similarities between the home and host institutions. How can we account for the autonomy of national civil servants working in an international bureaucracy (i.e. the Commission)? To what extent are national civil servants working in the Commission de facto independent from member-state influence? The data shows that SNEs are in practice likely to be relatively independent from member-state influence. More importantly, however, the data provide only weak support for the view – expressed in the ‘revolving door’ hypothesis – that expecting to return to one’s home institution after secondment undermines SNEs’ autonomy from member-state influence in the IO. Firmer support is found for the notion that the lack of a clear structural disconnect between SNEs’ primary and secondary organizational affiliations undermines their autonomy. Specifically, SNEs who perceive their treatment to be equal to that of permanent Commission staff act more strongly in line with Commission-specific behaviours and roles than those who perceive themselves to be treated otherwise than permanent staff. Finally, our data suggests that SNEs originating from federal (compared to unitary) states profess lower levels of national as well as Commission attachment. One tentative explanation is that our results reflect the structuring importance of regional-level loyalties for officials from federal countries. For these officials, it might indeed be regional influence that affects their autonomy while working in an IO. Unfortunately, our data do not allow us to pursue this in more detail. Clearly, however, this provisional interpretation would require further substantiation in future research. The study thus suggests that national personnel contracted to international bureaucracies such as the Commission are in practice largely integrated and committed to these international bureaucracies, and act fairly independently from member-state governments. This is explained at least in part by characteristics of their home institution (and country), their treatment within the international bureaucracy, and their contact patterns and post-contract preferences. For a longer discussion of this research, see the author’s forthcoming article in European Journal of Political Research (“On Trojan Horses and Revolving Doors: Assessing the Independence of National Officials in the European Commission”). Jarle Trondal is a Professor of Public Administration at the Department of Political Science and Management at the University of Agder, and at ARENA Centre for European Studies, University of Oslo, Norway. Zuzana Murdoch is a Post-Doctoral Fellow at Zentrum for Sozialpolitik at the University of Bremen, Germany. Benny Geys is an Associate Professor in Economics at the Norwegian Business School BI and Research Professor in Economics at the Department of Applied Economics, Vrije Universiteit Brussel.